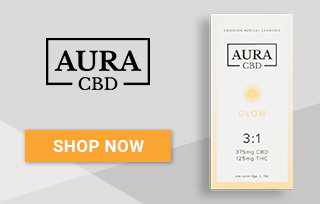 Aura CBD is a company providing a holistic experience through their use of high-quality CBD oils, pastes, edibles and balms. The founder, Aura Lakshmi, describes how the use of CBD products can begin “a journey to optimum health and well-being”. Her passion clearly extends to her customers, as the company provides personal guidance for both experienced CBD users and newcomers through their large media platform. And they are certainly not lacking on expertise. 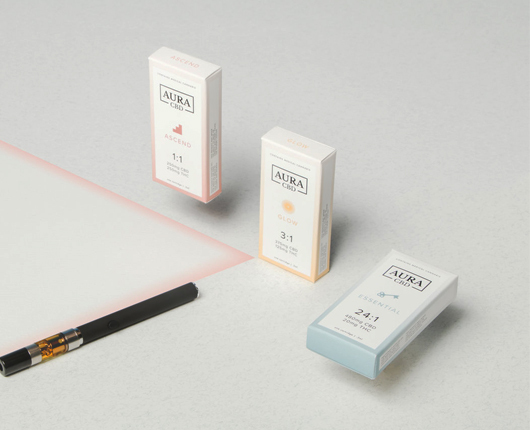 Renowned as one of the first UK companies to produce a range of oils and pastes with full spectrum hemp properties, Aura has been setting a first-class example of how to create effective CBD products for their customers. 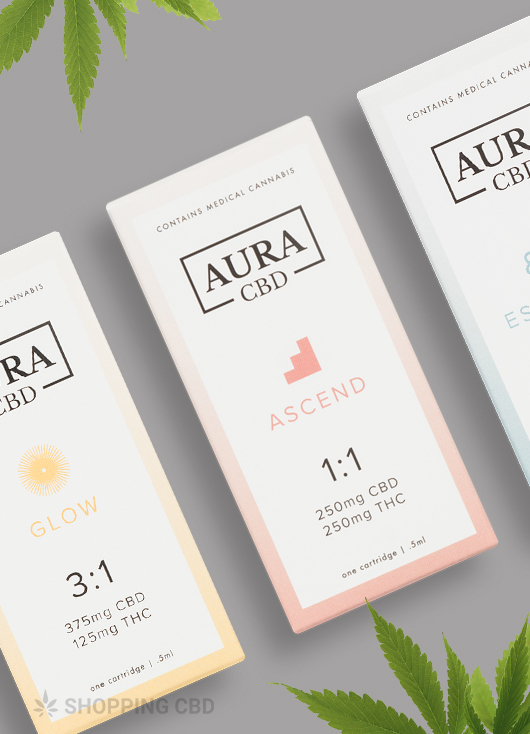 This review is intended to be as informative as possible; we will be exploring the history of Aura CBD, their personal mantra of organic promotion, and the interesting range of products they provide – chocolate will be involved! After humble beginnings 5 years ago, the company has become a small success. Aura Lakshmi first began experimenting with the effects of CBD in 2013 and found that it helped with various ailments she had been suffering from. Like many users of CBD, modern research revealing its potential as a remedy to chronic pain relief, inflammation and more has been life-changing. Spurred on by this ever-evolving knowledge, Aura both celebrates and promotes the positive effects CBD can have. Much of this is published on her website. This transparency and openness about research is one of the major positives I have found in the brand. 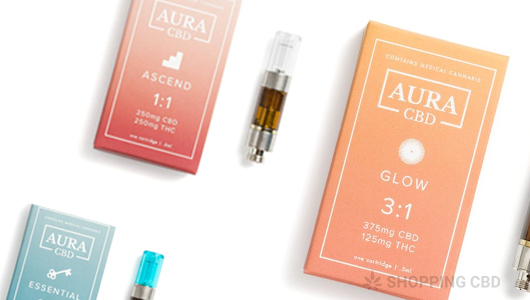 While all the products on offer have various CBD levels, because Aura are a UK company, they have to adhere to a THC limit of 0.2%. This means that the none of the products will create a ‘high’, as CBD is non-psychoactive. Instead, the company aims for their products to be used medicinally, whether that be for mood-lifting effects or pain reduction. Environmentally aware: All their products are grown organically, and they use recyclable materials for their packaging. Vegan and cruelty free: Aura pride themselves on their animal free products. Even their balms, which are typically made of beeswax, are made of raw coconut oil and cacao butter. Personal service: The website provides every customer with a free consultation before purchasing any products. This gives you a chance to discuss why and what you hope to get out of CBD use and if their products are right for you – which is very refreshing. Lab results readily available: Aura allows anyone and everyone access to their lab reports on both oils and pastes. This is not typically of many other companies, and so this transparency is very appealing. Informative: Because part of their message is about clean, raw consumption, Aura are amazing at listing all ingredients on their products, so that as the customer you know exactly what you are purchasing. Their blog provides information about recent CBD research and use, which can be extremely helpful for CBD novices. Aura Lakshmi also has a YouTube channel, talking about clean living and CBD; she occasionally does giveaways. Full spectrum pastes and oils: Aura is one of the few and first companies to provide these products in the UK. Some research suggests that the use of the entire spectrum of cannabinoids in the hemp plant can add additional medicinal benefits. These additional properties are obtained through the expensive process of supercritical CO2 extraction, which produces a very high-quality product. Accessibility: Even though the company is based in the UK and there are restrictions on THC, they still sell to many other countries. Discounts: Aura occasionally do sales on their products. For the time being, you can save lots of money on their oils. Their new 30% CBD oil was originally at £95, but is now £75. You can save an even greater amount with the 4 pack, which was at £289 and is now £249. Aura provides some great products that are clearly in high demand if the review section is anything to go by. It’s slightly frustrating then to see a few of their most highly rated items (like the CBD raw chocolate) being out of stock for at least 2 months. Maybe it’s an early Christmas rush? Aura offers a variety of CBD oils, all in 10ml bottles. The CBD percentage in each bottle ranges from 2.5%, where the effects are very mild, to their new 30% bottle, which is terpene-rich. The 5%, 10% and 30% bottles are also available as a four pack, with a slightly discounted price. The company also promotes the use of raw CBD oil, which can be found in doses of 20% in their 10ml bottles. The website advertises two paste products; both pastes have a full spectrum of cannabinoids and come in 2 different sizes. Both the 3-gram and the 10-gram product have a CBD content of 16%. Similar to the oil, the paste should be taken underneath the tongue to produce the full effects of the CBD. What we are most excited about are the edibles Aura provides. One of these is raw CBD chocolate. In one order, you receive 30 individual chocolates, and it’s recommended that you stick to one per day. Not only are you receiving the benefits of CBD, but also the high level of antioxidants from the cocoa butter content, which can cause feelings of euphoria. These are made in a separate facility, and so you may find shipping costs are slightly higher. The second edible they advertise is a 30ml cannabis butter. This is incredibly versatile, as you can add it to any tea, coffee, smoothie, etc. A quarter of a teaspoon is recommended as a good dosage to create a powerful anti-inflammatory effect. You can also use this directly on your skin to soothe tired muscles and joints. Similarly, as with the butter, you can invest in the 30ml CBD balm. This is conventionally used straight onto the body, especially on sore or tired muscles. Many people use these balms as an after-gym treatment. After reviewing Aura CBD, it’s easy to see why 5 years down the line it’s a success. With a good variety of products for customers to choose from and a variety of CBD levels in each product, this company has something to offer anyone. Ideal as both a physical and mental aid. These products are recommended for customers looking for relief from stress, anxiety, chronic pain, muscle relief, and more. Most importantly, the brand seems to embody a community and a lifestyle. Those looking to consume as naturally as possible, with as little impact on the earth as possible, and hoping to unlock all the potential CBD can offer will enjoy these products. I think we can describe Aura CBD as a small company with a large presence. Cycling to work everyday really takes it out of my body. That's why I use Aura CBD Skin Balm, it helps to soothe my tired leg muscles at night and the CBD present in the balm re-energizes my muscles for the next day. An oil with very cute packaging and that doesn’t make me feel lethargic after I take the drops – winner winner! After such a great experience, ive recommended the CBD oil to both of my brothers – both of whom are avid gym goers. I'm a big fan of Aura CBD Skin Products. I typically use them after a heavy workout to soothe my sore and tired muscles - they have an amazing effect. Anxiety has a terrible habit of being unpredictable…that’s why I like to keep a bottle of this CBD oil at home in my cupboard. Cayden from Ashburn just bough! John from Ashburn just bough! Moses from Ashburn just bough!